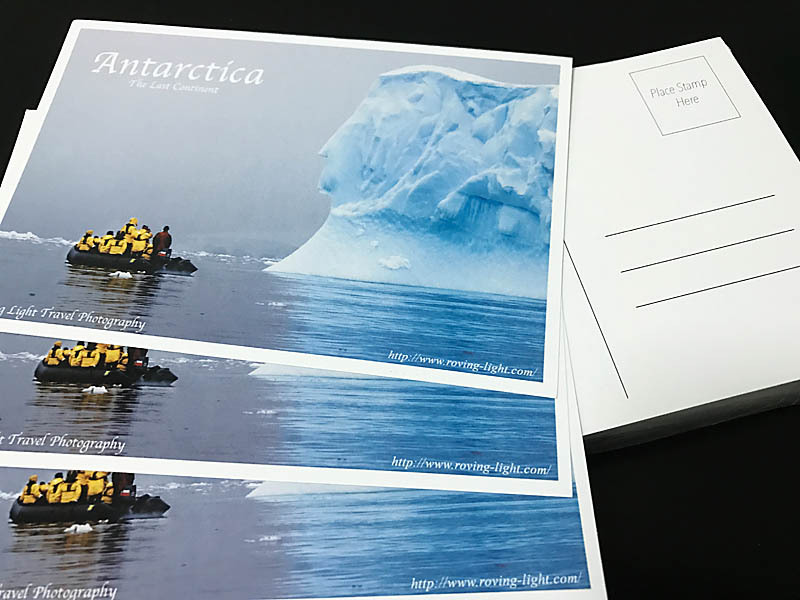 One of the things I've dabbled in the past from my travel and photography interests is online printing services. For many years, I've used various online printing services to print calendars (using my images of course!) for my year-end Christmas gifts. 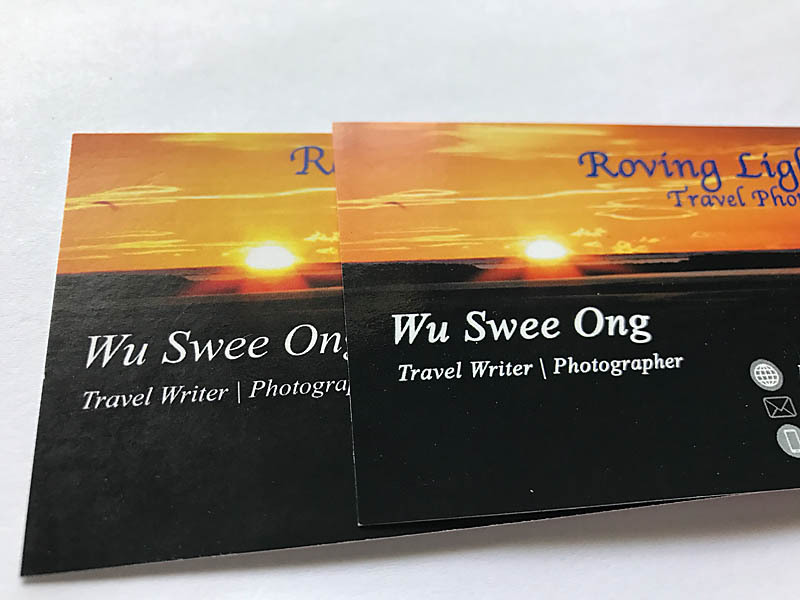 I designed my own name cards and print them using online printing services instead of going to the shops. I've printed a couple of photobooks for my own keepsake. 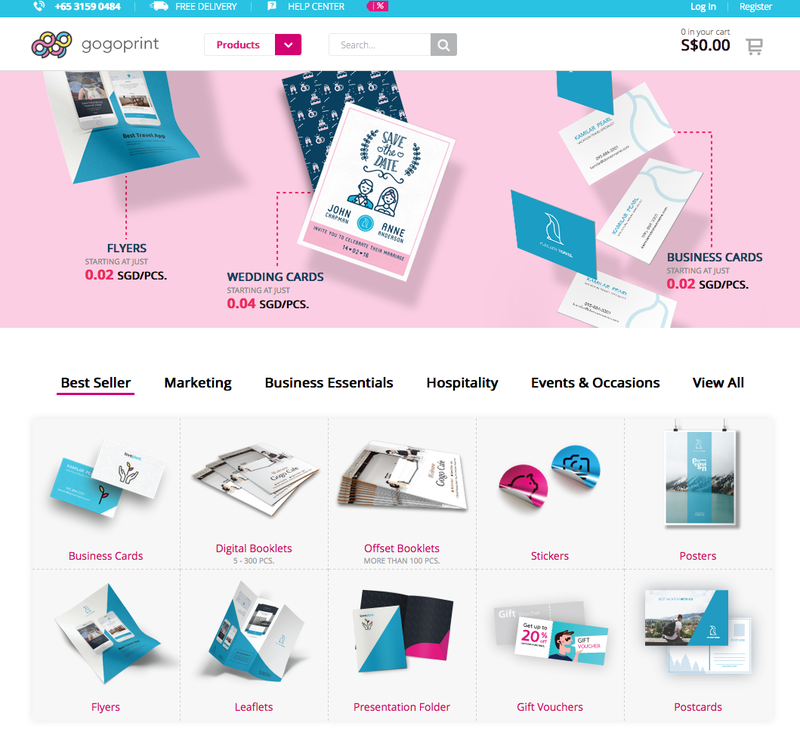 So when I was given the opportunity to review Gogoprint, it was game-on. Gogoprint markets itself as the biggest Online Printing company in Southeast-Asia. It is currently active in Singapore, Malaysia and Thailand, and from its website, I gather that for Singapore market, most of its products are printed in Malaysia and shipped to Singapore. Whatever the case, the important practical point is - it provides free shipping for all its products! For an online printing service, its website is naturally an important aspect of its business - it is the interface to its clients and customers. The design is modern and straightforward - a ticker-scrolling-banner welcomes the visitors, followed by its products available and a graphical menu of instructions on how to use the website. Simple and effective and a good start as I hate messy and cluttered websites! It is also mobile friendly, and consistent in its layout. Looking at the 4 simple steps in using their service though, the first thing I noted was the difference in the payment step. In all my other online printing (and all online shopping for the matter) experiences, the payment is usually the final stage of the process. In Gogoprint's case, after choosing and configuring the product, you will be brought straight to the payment page (others I tried usually will be the upload files stage). Only after the payment, then you would be given a time frame to upload your artwork and files (the time frame is for Gogoprint to meet its production timelines). It is no biggie, just that its somewhat different from any of my other experiences. My main disappointment though, is its product list. 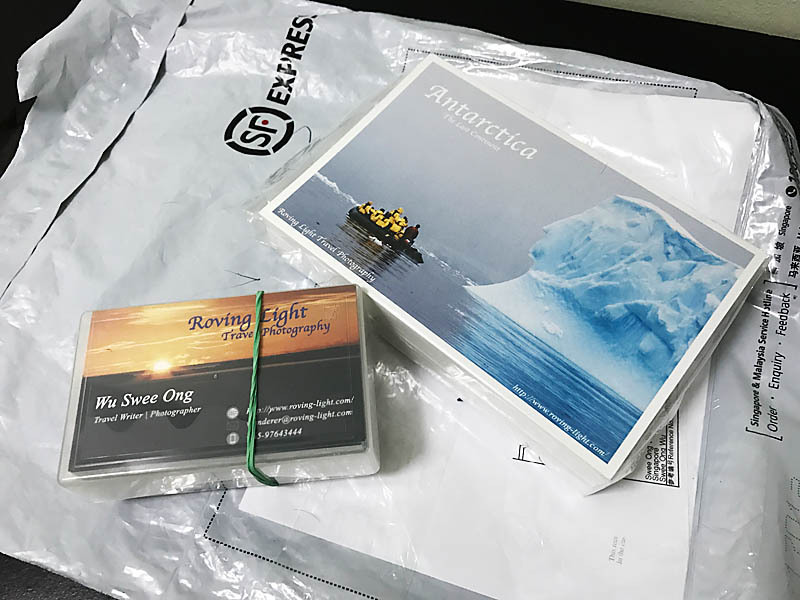 As mentioned earlier, I had past experiences printing calendars, photobooks etc since I am a travel photographer and those are typical print jobs I needed. Sadly, those are not in Gogoprint's product lineup. For most businesses though, theirs seemed quite comprehensive. In any case, I decided to try the business cards, as well as postcards so that I could see its print quality on 2 different products. Now, the entire process on how to utilize their service is in their Help Center, and in today's media-rich internet, they have wisely provided a nice set of videos. 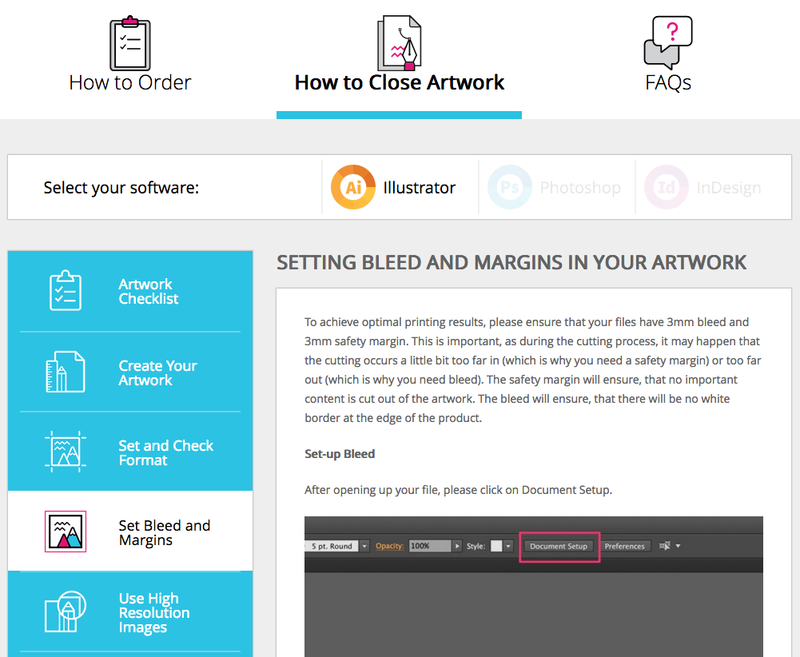 They have also provided a very useful section on how to do up your artwork in order to get the best quality out of the print job, although I'm not sure why it's called "How to Close Artwork". From choosing the correct color mode, to setting bleed and margins, I thought it was a fantastic inclusion. Unfortunately, it seemed to be still work in progress, as the information is for Illustrator only (while I use Photoshop). Both Photoshop and InDesign sections are available but greyed out, so I guess it will eventually be there. Really, the whole ordering process is so intuitive and straightforward, there's nothing much else to elaborate further. A thing I wanted to highlight was that a day after I submitted my artwork, I received a call from Gogoprint's staff. They actually called to verify some margin/bleed details in my artwork. It's great to know that my stuff are done by professional and responsible people! Gogoprint provides 1-day delivery for all its products, and indeed, I received my order promptly. It came in a SF Express plastic envelope. My business cards and postcards are lumped together inside the plastic envelope. While there was not much issue of my stuff being damaged while in transit with the 2 products "knocking" into each other, I wonder if a better padded envelope would be used for more fragile products (if any). In any case, I proceeded to check my order. Since I have ordered business cards from elsewhere before, I have some frame of reference. I have ordered the cards using 310g Art Card with no finishing and the finished product is excellent! As for the postcards, I was also happy with the end result. While I have not printed any postcards in the past, I obviously have seen many postcards, and mine seemed as professional as any of them. I've selected the 260g Art Card for this, and it does have that slight sheen as well. I am overall quite pleased and impressed with both the finished products from Gogoprint. The whole process from start to finish was rather pleasant - A well-designed website to start off the experience, simple and effective ordering process, and excellent end products, inclusive of fast free shipping. I think their market focus is on corporate businesses, so they will not be doing products like photobooks, but I do hope they would offer printing of calendars one day. I would certainly use them! They have a blog too that posts some useful articles and videos and I think occasionally they provide discounts too (currently, they have a 20% off first purchase). Their prices are quite competitive already, since the business cards I ordered was actually the same price as the one I printed locally. So, do check out Gogoprint when you have any printing needs!